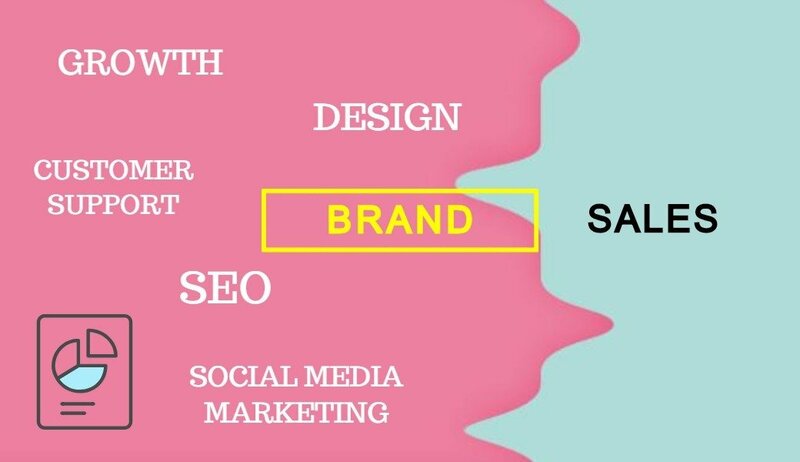 If you want to build a successful ecommerce business, then you have to build a brand. It’s easy to start an ecommerce website, selling is another story. There are thousands of ecommerce websites created every week, only a small percentage will reach $100,000 in revenue. So, when everyone is trying to sell, how do you make your business successful? The answer is by building a brand. Building a brand starts before you launch your business. Your name will be your reputation and hold all of your marketing investment. It is important to take your time on this. You don’t want to pour energy and capital into something that you will eventually change. Choose a name and commit to it. Read more to find out the steps to choosing a good brand name. It’s relevant to what you’re selling. Make sure your name can be what you want it to be. If you sell ties, then ‘Shoe Deluxe’ might not be the best choice. The name could also be something completely meaningless and you can give it meaning. If you are selling internationally or think that might be an option, then make sure you translate the word or ask a friend in another country. It’s easy to type and short. You don’t want a name that when you say it, everybody asks how to spell it. If you have to spell it for people, so will your customers that try to recommend you. You want a name that is fairly easily to spell or one that people will guess correctly. The length of the name is very important as well. You want a name that is quick to type, easy to say, and won’t feel like a sentence. You tested it with friends, family, and strangers. Before you tell people what your name is for, say the name and ask them what they think it is. This will give real insight to what the rest of the world will think. Ask everybody and I mean everybody! Ask the cashier and your sister’s boyfriend’s second aunt. Have a list of names and compare your responses. Overall follow your heart. You have to commit to this name so follow your heart. What you sell is incredibly important. You will be making a lot of content for this product. Make sure you love it. Also, if you love a product then you’ll be better at finding other people that love your product as well. Who are your competitors and how are you different from them? You want to stress the points that make you different. Do you offer free shipping and rewards points? Do you donate a portion of your profit? Why should a customer choose you over your competitors? This will be crucial in the beginning stages of building a brand. You need a hook. Now that you have your name and product, it’s time to create your website. You can easily set yourself up for failure or success in this step. Your design is your storefront. Everything from wording to color will affect how your visitors perceive you. If you do not understand web design then hire someone that does. It will be worth the investment. If you do not understand SEO, hire someone that does. 3dcart makes it incredibly easy to manage your sites SEO and Meta Tags. This will be extremely crucial when it comes to getting your name out there. It will also save you a ton of money when it comes to your paid ads. Give Your Fans a Reason To Brag. Pre-support is just as important as Post-support. Have a chat plugin installed on your website and answer all questions. Pay attention to questions, comments, and concerns you receive. You are serving and you need to be the best servant possible. This is how you create fans. Remember it is 7 times more expensive to create a new customer than it is to keep one. It’s also very true that a happy customer is your best salesman. Marketing has changed and it’s a good thing! Marketing in 2018 is incredibly underpriced. Do not put the cart before the horse! Do not do paid ads or influencers, until you’ve created an attractive Instagram/Facebook account. When people click on your Instagram/Facebook page you want them to follow you. This is as good as money in the bank. Once you’ve created an attractive page, then you want to pay for influencers and paid ads. If you choose to use Google Adwords, then I recommend taking a course or hiring someone to get you started. Be creative and learn from other brands. Constantly stalk your competitors and learn from them. Use what works and what doesn’t. Tell your story and get people involved. Building a brand takes time and hard work. You have to be consistent. The majority will not go viral like the Walmart Yodel Kid. Be patient and celebrate all of your followers, fans, and sales. If you focus on quick sales, then you’ll get frustrated and probably give up. Focus on your brand at all times. Every follower is a milestone, future customer, and possible influencer. Overall if you want to be successful in ecommerce you have to ignore the urge to focus on quick sales. In every step you should be branding. You need to focus on your niche and do it incredibly well. Do not try to become Amazon, you don’t have the capital nor the following to do so. Companies that focus on branding have a much better return and tend to last in the long run. Focus on branding your business and doing it correctly. Remember great things take time. Build a great brand and you’ll have a great business. Justin has years of experience in branding and ecommerce. He has built, run, and sold ecommerce websites. He is working with Etailerlab, helping others build their ecommerce businesses. Etailerlab is a full service ecommerce agency that does everything from web-design to web development.